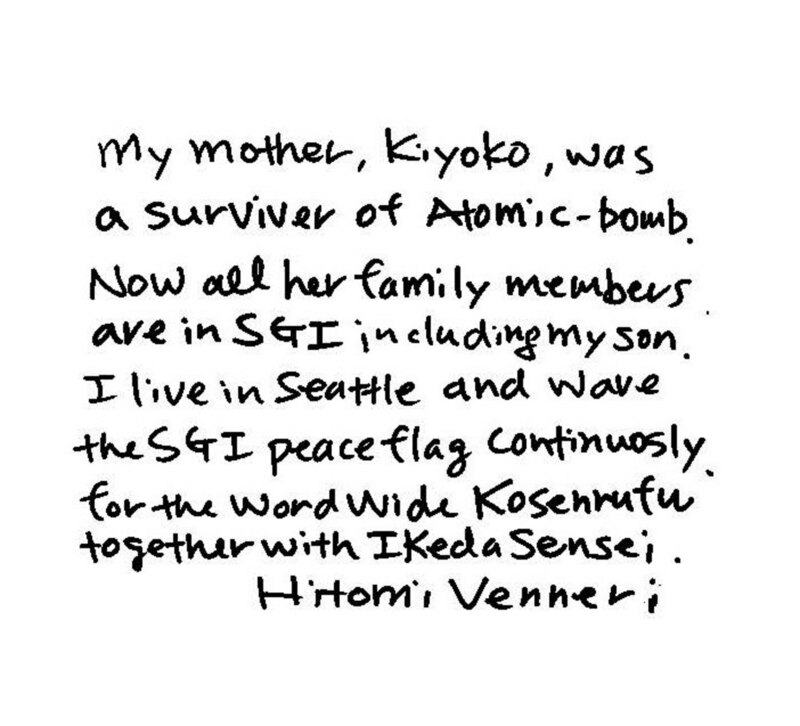 My mother, Kiyoko, was a survivor of Atomic-bomb. Now all her family members are SGI including my son. I live in Seattle and wave the SGI peaceflag continuously. 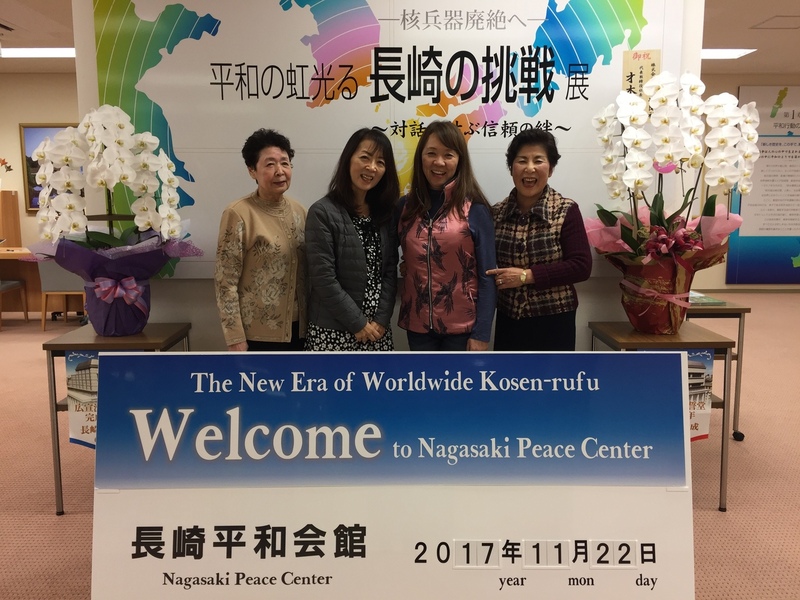 For the Worldwide kosen-rufu together with Ikeda sensei. Copyright © Peace from NAGASAKI All Rights Reserved.